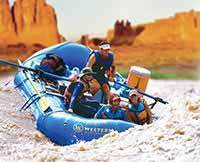 My husband and I rafted for 10 days through the Grand Canyon 17 years ago with Western. Naturally, when our kids were old enough to take the trip, we chose Western again! The food was delicious, we made lots of new friends (can't wait to get in touch with them) and the guides were incredible. They kept our 13 and 15 year old kids entertained the entire time. 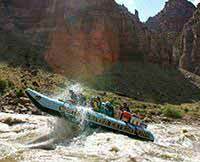 The rafting was a blast and we can't wait to do it again!! WE MISS YOU NICK, RYAN, JESS, JACE AND LANE!